Poor Baby Bullet | Sweet . Sassy . and a bit Smart-Assy . and Bullet is…well we aren’t really sure because we found him at the deerlease…hence the name Bullet. But he is quite possibly the most adorable, sweet, loving dog ever. Bullet – Isn’t he cute?! My dad and brother found Bullet at the deerlease two years ago and he was covered in fleas and ticks and surviving off of who knows what…he was just a little puppy – the vet thinks about 10 weeks old. We adopted him and now he is a member of our family! Bullet is not only fitting because we found him at the deerlease, he is also quite possibly the fastest dog in the world. It’s crazy. He likes to chase squirrels but I don’t think he actually tries to catch them. Bullet will stalk squirrels from across our yard and take off in full sprint after them. It’s pretty neat watching him play. Bullet is a major cuddle-bug. He loves to be loved. He will lay there and let you pet him forever, will fall asleep in your arms or on your lap, and gives super gentle kisses. Bullet turns into a rag doll every time you touch him. It’s pretty funny but mostly precious. I want to preface the rest of this post by saying that I have nothing against Pitt-bulls. I think every dog (and animal in general) is amazing and it all depends on how they are raised…kind of like children. Sure some have more aggressive instincts but most do not know to act upon them unless it has been encouraged or has not been disciplined in the past… Take Gina’s brother’s dog, Deuce, for instance. Deuce is a Pitt-bull and one of the sweetest dogs in the world. I have no fear of hugging Deuce or taking a ball away from him because he has been raised properly and is a loving animal. Our neighbors Pitt-bull, Milkshake, is a completely different story. The street where we live is a dead-end road with about 7 houses, each with about 5 acres of property. My family has lived there for almost 19 years. The neighbors bought the house next door as a weekend lake house and up until that point, there had NEVER been issues with the dogs on our street. Every house has at least one dog (the average is 2-3 dogs) and they all run around together and play. We have not had to fence the dogs up or anything because they have all gotten along great…until the neighbors arrived. They are a family of 4 with their oldest son being my age. The son had a Pitt-bull before, named Corndog, and he was a terror on our street. Corndog was hit by a car and for the first (and only) time in my life, I was not sad that an animal had died. I know that is terrible, but it’s true. I only thought Corndog was bad…that was until Milkshake arrived. Like Corndog, Milkshake is the son’s dog but the parents bring him up pretty often, even when the son is not with them. Milkshake is awful. Once when I had a garage sale at our house he came to our property and ran up to cars pulling in our driveway, barking at the guests and they were so terrified they wouldn’t get out of their vehicles. We always have to run him off of our property because his owners never pay attention to him when he is out. There have been two separate occasions where Milkshake has attacked Buddy. 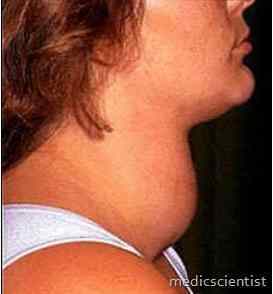 One of those times, he punctured his neck and it got so swollen that it looked like he had a goiter. 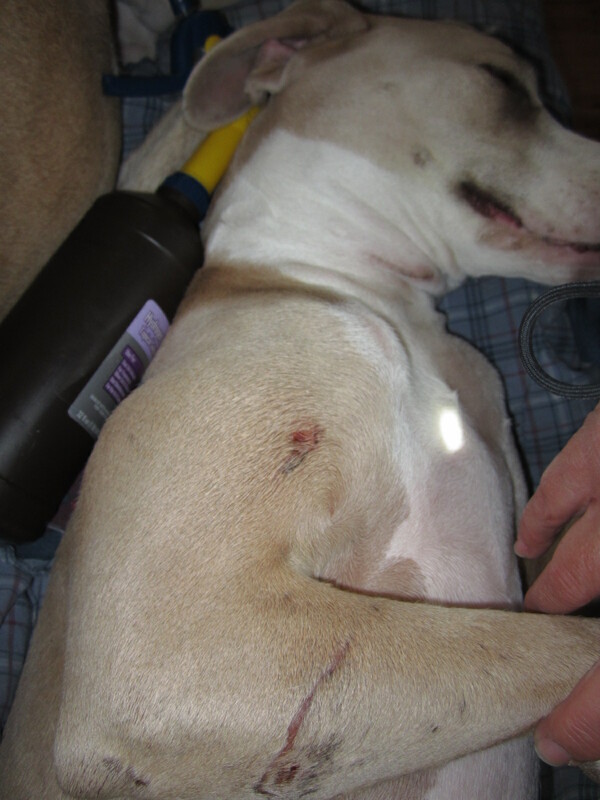 We have had to pay about $500 in vet bills because of that stupid dog, then this incident with Bullet happened. 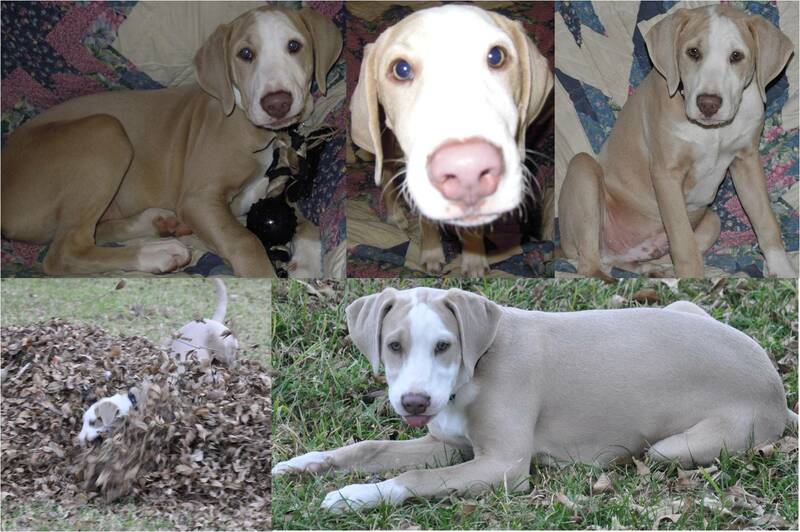 My brother, Trey, was about to leave our house Saturday when he saw Bullet limping in our yard. When we examined him, we noticed deep puncture wounds on his front right leg and back left leg, along with scratches all over his neck, legs, and body. He was soaking wet, had pooped on himself, and was shaking uncontrollably. Clearly he was in a state of shock. Bullet was pretty dirty so we gently hosed him off and cleaned his wounds and brought him inside to get a better look. At this point, we were not sure what happened to him because we didn’t see anything. We thought he could be wet from swimming in the lake behind our house because he and Roxy do that pretty often and Roxy was a little wet too. We didn’t know if he was attacked by something or got caught in barbwire or what. We called my mom who was on her way home and told her and she immediately said to go see if the neighbors were home because she would put money on it that it was Milkshake. The neighbors were there but we told her we would wait until she got home to do anything. When she got home it was pouring down rain and storming pretty badly so she said she would go over to talk to the neighbors after the weather cleared to see if they saw what happened or heard anything. When she drove over there, they were gone so she came back to our house and called the mother. Unfortunately, we cannot do anything about this incident because our dogs were on their property and we should have been watching them better but I can’t guarantee that Milkshake won’t lose his life if he steps foot on our property ever again. 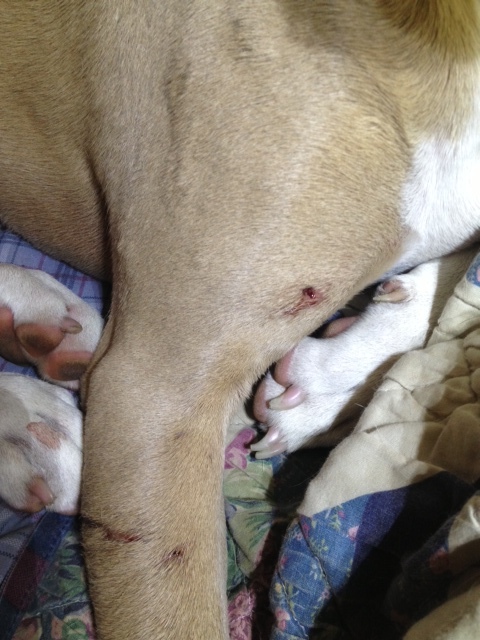 Luckily we think Bullet will be okay, as long as these wounds don’t get infected. But who’s to say that any of the dogs on our street will be so lucky the next time? Last thing I wanted was a 3rd dog, but Bullet has been a great addition to our family. 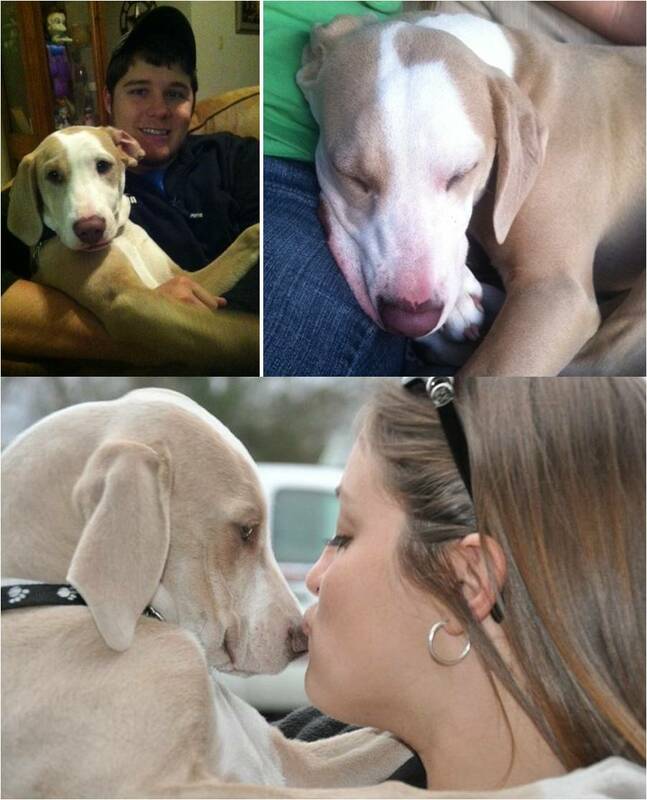 He is grateful for everything you do for him and happy just to have a forever home. By the way, Trey clocked his speed while driving the 4-wheeler and Bullet kept up with him while going 35mph. Maybe he has a little Greyhound in him!! 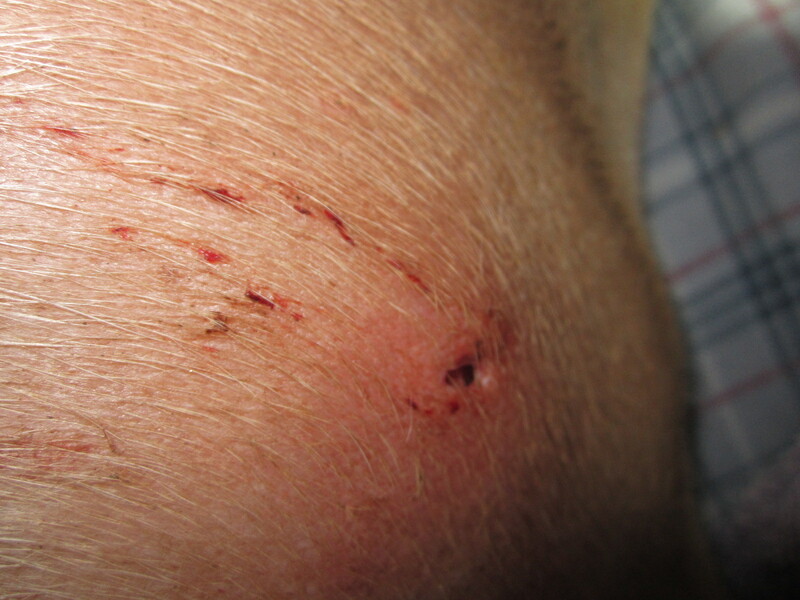 To ANYONE who OWNS a PITBULL Terrier – Use your brain- you are an example for peets sake!!! To your neighbor –They need to take ownership for what their ill-mannered, unsocialized dog caused to Bullet !!!!!!!!!!!!! As a Pitbull owner, even as gentle as mine is, I NEVER leave my dog outside unattended. Those people are irresponsible – not only because they left their dog outside, unfenced and unleashed, but also because now another Pitbull will get a bad reputation because of irresponsible pet owners who do not socialize and manner their dogs properly !! Please copy this and put it in their mailbox!!!!!!!!!!!!!!! TRAIN YOUR DOG !! !